Smoky and creamy with good heat, this luscious sauce has a depth of flavour which lifts and adds excitement to your plate. It&apos;s not overly smoked or heavy so is great with a wide range of foods. My husband is a HUGE spice fan and it drives me crazy that he is forever saying that the sauces I buy for him are not spicy enough for his liking! I requested the Barkers Chipotle sauce with the hope that he may like and continue to want to buy this one - and I could get rid of the half used bottles cluttering up the fridge. The bottle itself attractive and simple - with the eye catching pictures of some of the ingredients on it. The little "heat meter" on the front made me smile as an almost homemade type touch. 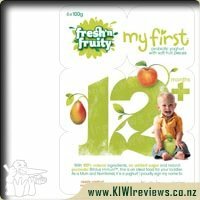 I turned it over to read the ingredients - 73% fruit and vegetables, with next highest being sugar. There are a few ingredients in there that I prefer to stay away from (canola oil, and thickeners, however, in this sauces&apos; case, and because I will not be eating excessive amounts of this, I am totally willing to ignore that rule!!! 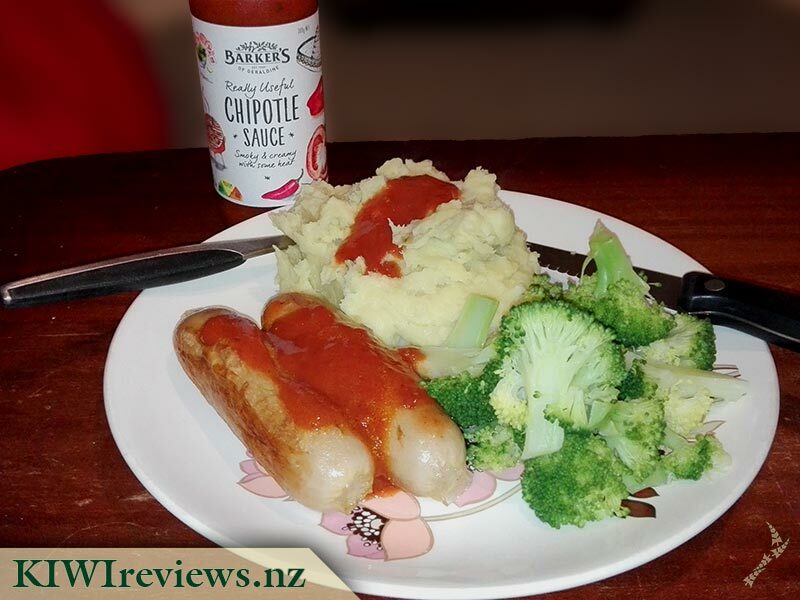 I was excited to try this sauce in particular as it is made by Barkers - who I have a huge love affair with, as they are excellent quality and have a taste that is always good. Having tried chipotle before I was not sure how spicy / hot it would be - and instead got my husband to taste test first before me. I have to admit I was worried with the metre being on hot..... Husband tried it and confirmed that it was on the hot side, but that I would really like it, with the creaminess that went with it. He was not wrong! This sauce is so good! it is creamy, with a dash of tomato, but, even though it says hot (and it is) it was not so hot that I could not manage it. Probably not a sauce I would give to a child, unless they particularly loved spice and hotness. 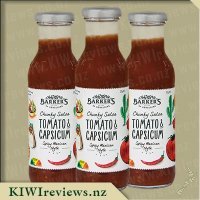 We decided to use it on our wraps, teaming chicken, cheese, tomato, capsicum, lettuce, avocado, and this delicious sauce. The result was so good. I added a squirt of aioli to one of mine as well, and can say aioli and chiptotle truly are best friends and go very nicely together! There are so many uses for this sauce - and I need to try using it in my cooking rather than as a dressing, and also on salads too - and fish, burgers, on hot chips - oh.... the ideas are so many! 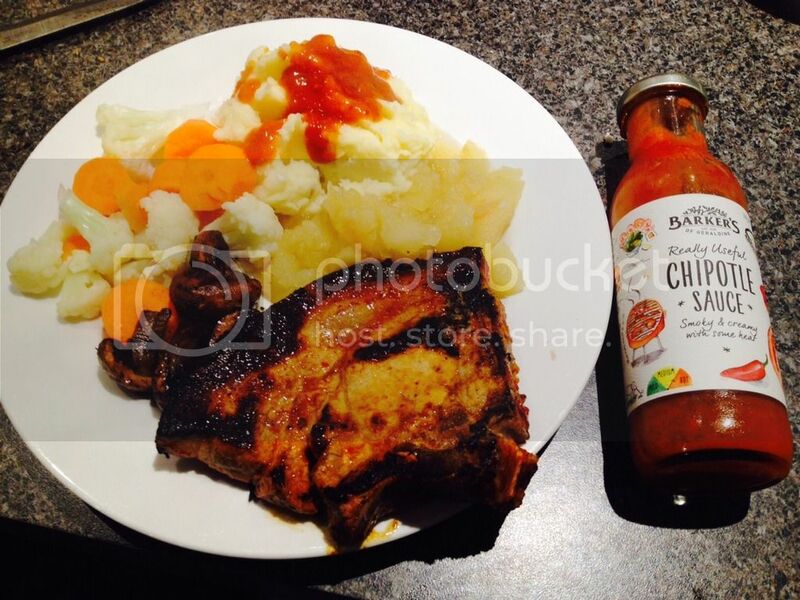 I am a fan of Barkers sauces and cordials so was very excited to be able to try their Really Useful Chipotle Sauce. It comes in a 300g bottle and claims to be &apos;Smoky and creamy with some heat&apos;! I really liked the serving suggestions on the label which recommend using it with your &apos;catch of the day&apos;, &apos;sloshing it on your burger&apos;, &apos;marinating meat and grilling&apos; and (my favourite) "Molly Barker likes it on sausages&apos;!! So, with this in mind, I decided to get some sausages out and see how this sauce could transform them. When I opened the bottle I had a good sniff and loved the smoky pepper aroma. The sausages were marinated in the sauce for an hour before cooking and when they came out the smell filled the kitchen. This sauce is rated on the medium to hot scale, and packed a punch. The kids, who aren&apos;t huge fans of hot spices did protest bit but added some tomato sauce and they were happy. My husband and I on the other hand absolutely loved it. It really added a new dimension to the meal and gave it some &apos;bite&apos;. We also had burgers recently and we decided to use the Chipotle sauce which was creamy and delicious. I can honestly say that this sauce is really useful! You could use as a dip for chips, taco&apos;s, pretty much anything you want to add some tasty spice to. We will definitely be adding this to the pantry staples and I recommend you try as you won&apos;t be disappointed! I&apos;m a big fan of Barkers sauce and love spicy food so bought this the second I saw it on the shelf at the supermarket and was really impressed. It&apos;s currently my favourite sauce! I like the classy packaging but that is the least important part - it&apos;s all about the flavour and this one is delicious! It&apos;s smooth and creamy so it&apos;s perfect for a burger. It works both as the sauce or in the patties themselves in place of ketchup. It&apos;s probably really versatile but the burgers are so good we keep making them! I imagine it would be perfect in wraps and sandwiches and am planning to next use it to spice up a big plate of nachos with just a touch of lime juice over the top. And, of course, it is brilliant to dip a bowl of chips in. The heat level will differ on personal taste. My husband and I found it mild-medium, however it is too spicy for our two year old. I don&apos;t think it should be any hotter, it&apos;s just the right level of heat to feel it but not be overwhelmed by it and the creaminess helps to cut through the spice. 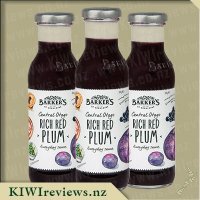 It wasn&apos;t expensive and has been used for many meals with half a bottle left so is good value. It&apos;s a really good price for the convenience of being able to easily add so much flavour to midweek meals! 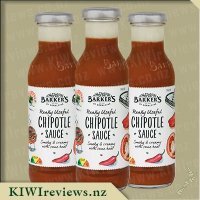 I am slowly making my way through the range of Barker&apos;s sauces and took the opportunity to try the really useful Chipotle Sauce when it was up for review. I love sauces. My fridge is full of quite a few, slowly they are all becoming Barker&apos;s! Chipotle is one that I had always looked over on the shelf. 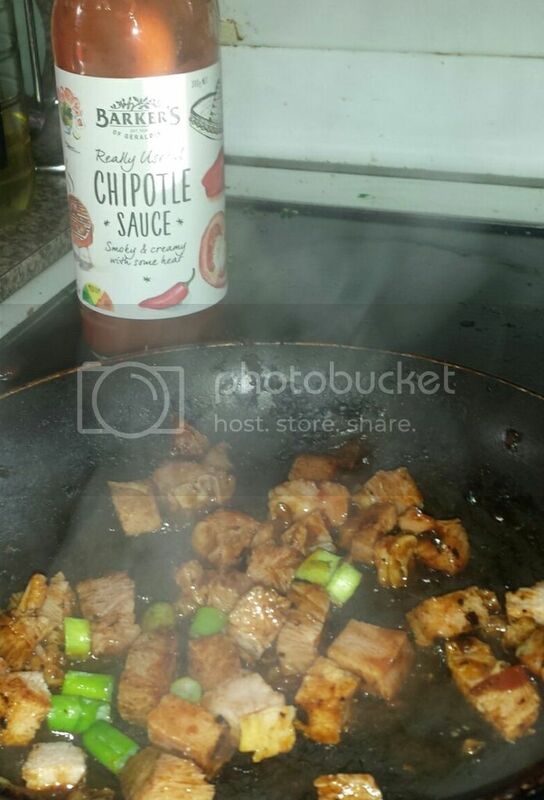 When buying sauces I always go with the familiar, and chipotle is something that I haven&apos;t tried before. Being someone who doesn&apos;t like things too hot I wasn&apos;t sure whether I would like this sauce but with a little gentle persuasion from someone who promised me it wasn&apos;t too hot I gave it a go. As I opened the bottle I heard that glorious pop that you get when opening any new Barker&apos;s bottle. It&apos;s great to know that the sauce inside has been sealed closed and will be nice and fresh upon opening. As I took a sniff I was blown away by the smell. This sauce was definitely going to have some flavour! Being a little impatient I dipped in my finger and had a try. The sauce had a nice creamy texture and was very smooth. As I put the sauce in my mouth I was quite surprised. Barker&apos;s you have done it again! This sauce has an amazing level of flavour. Many sauces you buy from the supermarket are missing something, but Barker&apos;s sauces never are. The heat did hit me a little bit, it certainly got hotter a little further on, but soon it settled down and definitely wasn&apos;t far too hot I couldn&apos;t touch it. Burgers were on the menu tonight, with a lovely chicken breast and salad. I had decided to marinate the chicken in the sauce for an hour and cooked it in a dry fry pan. The smell when it was cooking was absolutely amazing. Having enjoyed the sauce when I tried it by itself I decided to put a little in our burgers. I put the straight sauce into my hubby&apos;s burger, and for mine I mixed it into a little bit of mayo - just to make sure it wasn&apos;t too hot. Once the chicken was cooked and the burger was complete we enjoyed them together. Mine was just perfect. The chipotle sauce added an amazing zing to the chicken, but it wasn&apos;t too much. Mixing it with the mayo brought the level of spice down a little bit and is great for those who don&apos;t like sauce too hot. 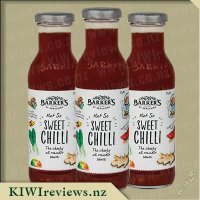 Barker&apos;s is one of our favourite, most trusted and most brought brand of sauce in our household. 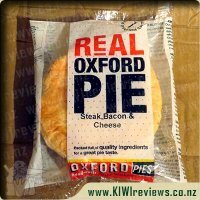 I&apos;m slowly making my way through their entire range and many of them have become regulars in our shopping. When there was a chance to review really useful Chipotle Sauce I jumped at it. It was one of the ones on my still to try list. I was making nacho&apos;s the night it arrived so instead of using the normal seasoning I decided to use a little Mexican seasoning and then throw in some chipotle sauce as a extra hit. Opening up the bottle the smell of the sauce hit me straight away, unlike most other sauces you could actually smell the spice in this one! I decided to play it safe and just add a little sauce at the time. It didn&apos;t take much sauce to get the right amount of spice into my nacho mince. I think we were all in agreement that using the sauce as the nacho flavouring made the best nacho&apos;s ever. After nachos for dinner I found myself with leftover corn chips the next day. Felling like something to snack on I grabbed some leftover sour cream threw some chipotle sauce in it and dipped my corn chips in. Once again I wasn&apos;t disappointed it made a really yummy dip, one that I will be keeping in mind and pulling out for parties. This sauce keeps featuring in different dishes in our house. It has so many uses, I love that it is hot enough to give you a good kick but not too hot. So far one of my favourite uses has been with chicken. I stuffed some breasts with some cream cheese and the sauce, coated it with crumbs and baked it in the oven. This sauce is a new must have in our household, it&apos;s so easy to grab and throw into so many different dishes. During two hectic weeks of late nights and full days at work as well, I took the occasional short cut with dinner to save time. On one of these evenings I was on my own for dinner, so rather than cooking, I called to the local vegan cafe for a smorgasbord takeaway. Vegan food is great when you are tired; it energises you and provides a healthy alternative to the popular fast-food-chain meal. Usually it is tasty enough on its own, but occasionally the combination I choose is not flavoursome enough, and I have to then add some soy sauce or sweet chilli. 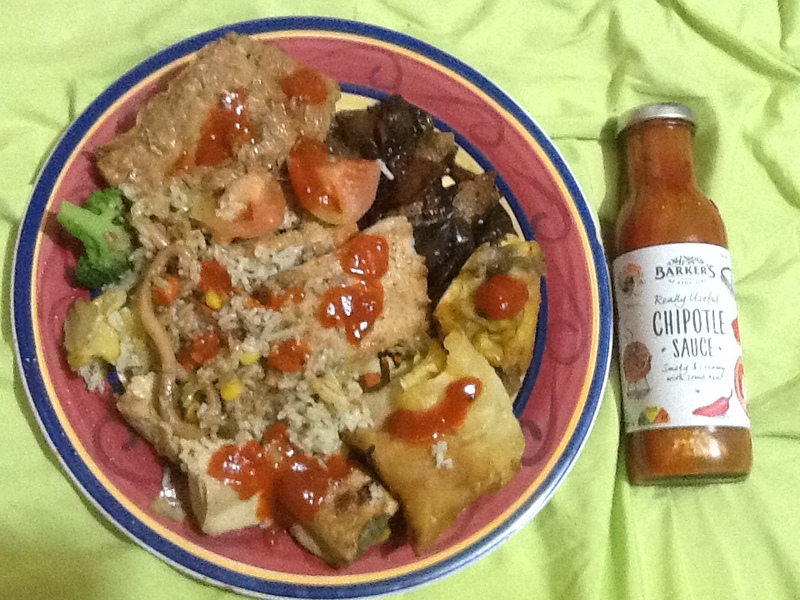 On this occasion, I had the chipotle sauce to try and had not yet had any food suitable to serve it with, so I took a chance and added it to the vegan meal. Korean food and Mexican seasoning? Well, why not? Nothing like being eclectic and checking out a new combination. If it did not work, I would not try it again ... but hey, it was great! The sauce is quite different from a sweet chilli. It has a certain amount of heat, although it is very mild compared to some I have tasted, but it also has a creamy texture that goes especially well with tofu and stewed aubergine (two of my favourites). The tofu is often dry and lacking in flavour; this sauce transformed it into a gourmet treat. I have not yet had the opportunity to try out the combination with any of my friends and famlly, but I have that on my to-do list for the future. In the meantime, I did try out another use (again when I was eating on my own) - this time with tamales. This is an authentic Mexican dish which I often make with beetroot rather than the traditional sweet corn. (Beetroot and corn have similar flavours once they are mashed; you just have to get over the bright red colour!) Tamales are served in a little twist of foil; you open them out on the plates to serve. It is a simple matter to add a blob of sauce to each one at this stage. On the beetroot version it is barely visible, but if you make the tamales with corn they look like miniature bowls of cereal with a cherry on top! I was interested that the ingredients listed are all natural (always a selling point for me). Three-quarters of the contents are vegetables (principally tomato) and the product is gluten-free which is also good to know as, even though I have no issue with gluten, some of my friends do so it means I am restricted as to what I can serve when they are visiting. So I will be keeping a spare bottle in my pantry for future use at these times. We are already very familiar with Barkers&apos; products in our house and we always enjoy the opportunity to try out some new products in the range. Chipotle is a new flavour to me, so I didn&apos;t really know what to expect. The label said that it is medium-hot and I think that is a good indication of the actual heat in the sauce. I can only tolerate a certain amount of heat and this suited me perfectly. The smoky flavour was just divine too. My husband and I have really enjoyed experimenting with this product. 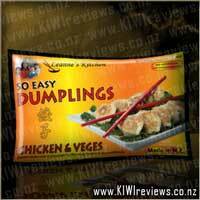 We have tried it on all sorts of meals! Toasted sandwiches, veggies, potatoes, pasta and cheese have all been extra tasty with the Chipotle sauce. At lunch time today we also added it to bacon sandwiches - this was another winner. The bottle is the same style as the other Barkers&apos; sauces in the range. Although it was nice and easy to get the sauce out, we found that it poured out a bit too easy at times. It is quite a balance with bottle choice to allow for easy pouring and at the same time not allow too much sauce to escape! The absolute best combination of food with this sauce was with tonight&apos;s dinner. My husband put some of the sauce on pork chops and ensured that all surfaces were covered. He then left it to marinate for a couple of hours. Every now and then he poured some of the sauce back over the pork. He cooked the pork chops in the pan and we could still see some of the sauce on the outside. It looked rather tasty. We left the chops for the kids without the sauce on it as it has quite a kick to it! Knowing that the adults were rather fond of the sauce, I decided that we would add some on top of the mashed potato too. This was a perfect addition to the meal. The pork had a slightly glazed finish after cooking and the flavour was great. We were all happy as the kids had a nice plain meal and the adults had the same meal but spiced up a bit! Happy campers all round. I have got to say that I think that this is a real winner of a sauce. It is in different class to your average tomato sauce or bbq sauce. It goes really well on just about everything (more so than the good old tomato sauce that some people drown their food in). I think that it actually enhances a meal rather than hiding the flavours within the meal. It also provides a zing to spice up family meals so that adult tastebuds can be treated. This will find its way into our shopping trolley again (especially as the price is quite reasonable for such a tasty sauce!). Ok, to be perfectly honest, my teenagers talk about chipotle all the time. I believe there is a vine, or some such thing, on you tube that caught their attention. They seem really taken with chipotle, lol, so when I saw the opportunity arise to review some chipotle sauce, I jumped at the chance. Me, however, I had no idea what chipotle even was. But a quick google and I had learnt something new for the day. A chipotle or chilpotle, which comes from the Nahuatl word chilpoctli (meaning "smoked chili"), is a smoke-dried jalapeño. Good to know! There are some huge pluses for me with this product. 1. I absolutely love barkers products, and always know that I am going to be very happy when trying a new product from them. 2. The heat. Its perfect as mentioned above. 3. The taste. Its just wonderful. Smokey and filled with flavour. 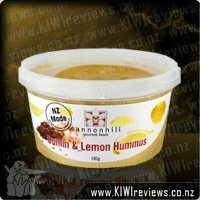 It is thick and creamy and perfect to use as a dipping sauce, a marinade, or even in burgers mixed with mayo if the heat is a little to much for you (miss 9 mixed with mayo to bring the heat down a bit). 4. The price. Its priced at under $4, and to me this is fantastic. I know I will definitely be buying more when I run out. My son marinaded some ham steaks in the sauce, and then fried them up with some spring onion and ate it just like that. He absolutely loved it. I used it as a dipping sauce for beef sausages, while miss 9 keeps asking for it to be mixed with mayo and added to her lamb wraps that she would live on if she could lol We are absolutely in love with this sauce, and it definitely scores a full 10 from me. I love spicy and I mean spicy. I get so disappointed reading a label on a bottle that says "hot" to get home, try it and find out its not hot at all. So I was really interested to give this chipotle sauce a whirl. The spice rating was medium to hot, and in all honesty I wasn&apos;t expecting great things with being let down by other "spicy" sauces before. I twisted the cap and waited for the POP as I broke the seal. I took a sniff and it made me take a step back as I got a whiff of something strong that made my senses tingle and alarm bells to ring. Yahoo this was going to be spicy. I made the mistake of dipping my pinky finger in and giving it a try. It almost blew my brains out as my gosh it was hot. To start with I didn&apos;t get much heat but within a few seconds the heat had kicked in and boy could I feel the heat. It was a nice creamy cloudy texture, was smooth and didn&apos;t have any chunks through it. I decided later that night to try it out on some chicken. I got out a chicken breast and put a thin layer of the sauce on it, sprinkled on some bread crumbs and parmesan cheese and popped it into the oven. My kitchen smelled amazing and the sauce worked perfectly with the breadcrumbs and parmesan as it helped to turn the heat down. 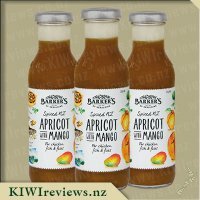 I think this sauce would be great added to soups and even mixed into a bit of mayo to make a spicy mayo for sushi or salad. Great sauce and I love it. Can&apos;t wait to try the rest of the sauces in this range. For some time now, I have been a fan of spicy foods, but the only spicy dishes I have made got their heat from a dose of Cajun pepper, nothing else. I was happy to jump onto this sauce due to the fact that my "go to" dish is a savoury mince, which I saw benefiting from a hit of this Chipotle sauce, and I was right. I added this stuff near the end of the mince&apos;s cooking time so that it wouldn&apos;t get the chance to separate out too much, and I think that was a good choice. As soon as I opened the bottle, I got a strong whiff of a smokey smell that I was not entirely expecting, but it was not a bad smell, in fact it was quite the opposite. I found that this sauce really helped add that desired spice, with some other more subtle flavours that all blended together with the flavours already present to create something beautiful. To test this sauce on more than one level, I also decided to try mixing this sauce with a pasta meal. This also turned out really well, it brought something new to the mix and worked even better than it did for the mince. 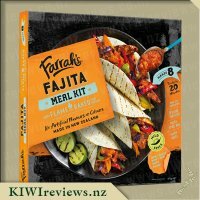 The sauce was quite creamy, and mixed well with the food, but I would like to try it in a wrap or a taco or something, so I can see this being quite a versatile sauce, just something to add for some spice and a pronounced flavour. In terms of the spice, however, I was quite surprised by that, as the label had a little "meter" symbol to show the spice level, and it looked like this sauce was going to be near mouth-burning, but it was actually quite mild, I mean it still gave off some heat, but not as much as I expected. 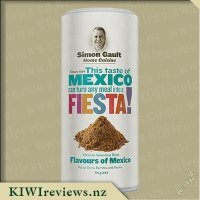 Overall, I would say that this is indeed a "very useful" sauce, and would work well in any dish that needs a bit of spice and flavour. The price is awesome, so buying this stuff in bulk might not be a bad ideas, pardon my double negative! In all seriousness, this is an awesome product that I think is well worth buying, so enjoy! Many years ago, a friend took me to a strange chicken restaurant - apparently one of a chain - on the side of the road in the middle of nowhere, somewhere between Palmerston North and Wellington. The place served nothing but chicken and chicken dishes, and every table had an array of sauces for you to choose from. One that caught my eye was Chipotle. It was my first encounter with this chilli sauce, and it had me hooked. Since then, it&apos;s my go-to style of sauce when I want something with some heat, and a little extra flavour. In saying that, it&apos;s been hard to find a good Chipotle sauce that doesn&apos;t come from that chain store brand... until now. As soon as I cracked the cap on the bottle, I knew this was going to be a good sauce. There&apos;s something about the smell that told me immediately this had some heat, but not too much, but also lots of flavour. The thick, creamy consistency clearly indicated a sauce that was high on actual &apos;stuff&apos; and not a watery, weak mess of chilli oil and vinegar. So I thought I would start off easy and drizzle a bit over some fried sausages. However, after wiping a drip off the lip of the bottle and licking it off my finger, I dolloped some over the mash as well because it just tasted so good. Overall, though this will never replace my life-long #1 sauce for meats - the classic tomato sauce - it has risen to #1 sauce for meats when I want spicy! It also inspired me to get creative in the kitchen with the leftovers... but that&apos;s for a review of another sauce I paired it up with. This sauce now has a permanent spot in the pantry reserved for it, and it&apos;s one I fully plan to buy again. As the name says, this sauce/dressing is simply the best. The blend of uplifting mint and rich balsamic is perfectly balanced: a must-have for lamb lovers.